Westlife star Kian Egan claims the new music talent show The Voice of Ireland will be the biggest and best series ever broadcast on RTE. Kian, who stars as a coach on the show, insisted it’s a “million” times better than Grainne Seoige’s All Ireland Talent Show. “I believe this show will be massive,” the singer said. “It will be the biggest show ever on RTE. It’s certainly the biggest production ever in Ireland. It really feels like nothing ever made here before. I don’t know what the budget is but it feels much bigger than anything that’s gone before it.” Kian claimed the new show, which kicks off next weekend, is on par with popular big budget shows on the BBC or ITV. “I’ve never seen anything like it in Ireland before,” he said. 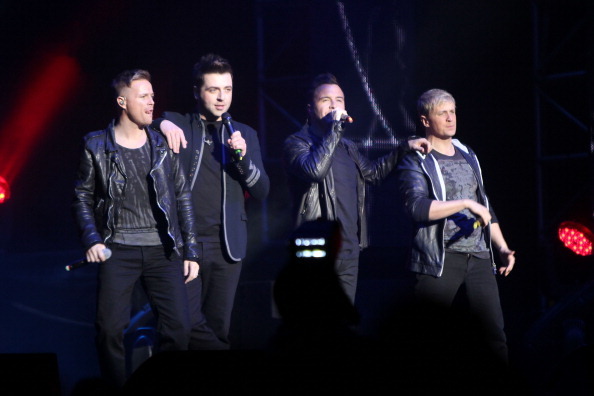 “Westlife have done all the shows so I think I’d have a good idea and this feel like a big UK production to me.” He added: “It’s millions of times superior to the All Ireland Talent Show. There’s just no comparison.” Kian will join Sharon Corr, Brian Kennedy and Bressie, the former singer of The Blizzards, as coaches on the show. Kathryn Thomas will be presenting The Voice on RTE One, while Eoghan McDermott will present a spin-off show on RTE Two. Entrants will be in with a chance to win a recording contract with Universal Music but first they have to work their way through three stages in The Voice. The first is a blind audition, the second is a singing battle and the final stage is the live performance shows. During the blind auditions, the four coaches will be seated with their backs to the singers, and their decisions are based solely on the contestant’s voice. The series has already been a massive success in the US and the Netherlands. The US version of the reality TV music show stars pop diva Christina Aguilera, Maroon 5’s Adam Levine, country music star Blake Shelton and hip-hop artist Cee Lo Green. The NBC show is presented by TV star Carson Daly.